‚a Wagner interpreter, the international opera world can really do with‘ Der Neue Merker wrote on DANIEL BRENNA as SIEGFRIED at the Stuttgart State Opera. Since his debut as SIEGFRIED at the Longborough Festival, Daniel Brenna is internationally one of the most sought-after heldentenors for this very role. Recently, he sang SIEGFRIED in the RING at the San Francisco Opera, the Washington National Opera, at the Theater an der Wien, at the Budapest Wagner Days, at the Ravello Festival and at the Opéra Dijon. He was SIEGFRIED in ‘Siegfried’ at the Stuttgart State Opera and with the Odense Symphony Orchestra and SIEGFRIED in ‘Götterdämmerung ‘ at the Karlsruhe State Theatre and with the Hong Kong Philharmonic Orchestra. In autumn 2018 a CD recording with these concerts was released at Naxos Label. 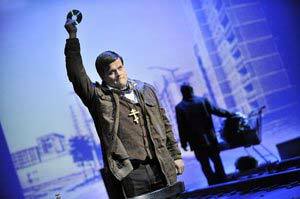 Daniel’s international career began in 2011 when he portrayed ARON in ‘Moses and Aron’ at the Zürich Opera House. Before, he already enjoyed huge success in this very role with the Budapest Philharmonics at the Miskolc Festival in Hungary and at the Palace of Arts in 2010. 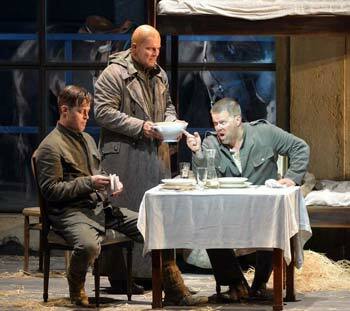 In summer 2012 Daniel Brenna made his widely noticed debut as DESPORTES in Alois Zimmermann’s ‘Die Soldaten’ at the Salzburg Festival. In 2014 he made his debut in this role at the Bavarian State Opera in Munich and in 2015 at the Scala di Milano. In 2015 followed his successful debut as ALWA in ‘Lulu’ at the Metropolitan Opera New York. This production was elected by the New York Times as THE BEST IN CULTURE 2015.: ‘Here was an ingenious staging…., with a superb cast…’. The November 21, 2015 HD performance of Lulu has been nominated for Best Opera Recording for the 60th annual Grammy Awards. In autumn 2016 he returned as LACA in ‘Jenufa’ to the Metropolitan Opera. Daniel studied musicology at the Boston University and completed his studies with a „Master of Music and his opera diploma. First engagements brought him to the Tanglewood Festival Orchestra under the musical direction of Seiji Ozawa and Daniel Harding. Guest engagements brought him to the Opera House Leipzig, the Comic Opera Berlin, the Aalto-Theatre Essen, the Festival St. Margarethen and the Munich Radio Symphony Orchestra. His repertoire includes such roles as SIEGMUND, THE FALSE DMITRY in ‘Boris Godunov’, BORIS in ‘Katja Kabanowa’ , PRINCE RADJAMI in ‘Die Bajadere’, BACCHUS in ‘Ariadne’ or EISENSTEIN in ‘Die Fledermaus’. 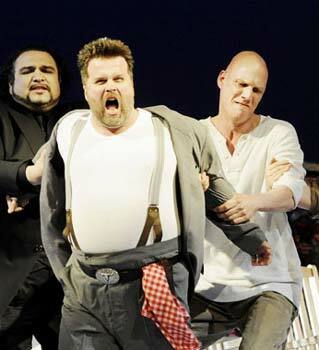 Daniel enjoyed huge successes as JIM MAHONEY on the occasion of the May Festival Wiesbaden . In the seasonal review of the German newspapers “WAZ” and “NRZ” and “Welt am Sonntag” he was voted the best singer for his first interpretation of TANNHÄUSER at the Dortmund Theatre. His affinity to contemporary music was recently proved in the world premieres of PUSCHKIN in Moscow and in Philipp Hefti’s ‘Anna’s Mask’ (ALOIS OBRIST). At the Stuttgart State Opera he also was the DRUM MAJOR in ‘Wozzeck’ and AEGISTH in ‘Elektra’ . 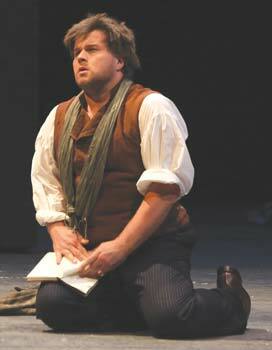 This very role, he also portrayed at the Edmonton Opera. Besides, he made his debut as ALWA at the Dutch Opera Amsterdam and in 2018 he successfully debuted as HERODES at the Bilbao Opera. In the season 2018/2019 he is LACA in Jenufa in Dijon and Caen, the DRUM MAJOR at the Helsinki National Opera and SIEGFRIED in ‘Götterdämmerung ‘ in Karlsruhe. He sings EISENSTEIN in ‘Die Fledermaus’ in gala concerts at the BASF Hall and at the German Opera Berlin and the STRANGER in ‘Das Wunder der Heliane’ at the SummerrScape Festival. Future engagements also take the tenor as DRUM MAJOR tot the Opera House Zurich . 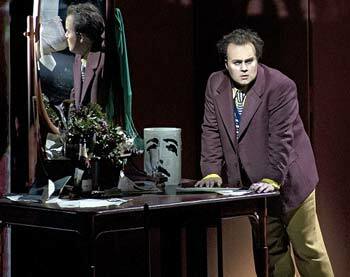 He makes his debut as PARSIFAL at the Grand Opéra de Genève sings SIEGFRIED in the ring at the Gothenburg Opera House. 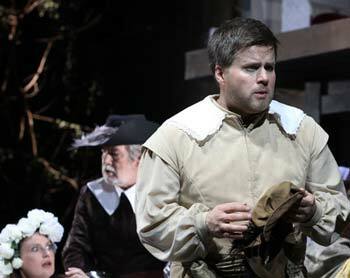 We were particularly pleased to see Daniel Brenna again in the role of Laca, which he had already sung in Dijon. The tenor jumped in for the indisposed Paul Mc Namarra. Once again Brenna gave a powerful, perfectly projected portrayal of the role. Daniel Brenna portrayed the important role of Laca, jumping in on short notice for the indisposed Paul Mc Namarra, showing no sign of uncertainty at all. He marks the counterpart to the exhilarated Steva and according to the role, he initially seems starchy and introvert. His voice, however sounds amazingly relaxed and perfectly guided. … even in the tragic situations he becomes the most popular figure. This also has to do with the empathic capacity of his tenor voice, which is free of any kind of harshness. … His silently sung ‘Wie ich sie doch liebe’ in the second scene of the first act, seems immensely tragic. Daniel Brenna, a brilliant cover who immediately took part in the intense happenings. A real god’s end concerning the acting intensity was Daniel Brenna, who jumped in as Laca for the indisposed Paul McNamara. Originally Paul McNamara was intended to sing Laca. As he was indisposed, Daniel Brenna jumped in. Brenna, hwo has already performed the role at the MET gave a respectable performance. Showing presence as an actor and impressing by his extensive singing. Daniel Brenna as Laca Klemen, with his expressive voice jumped in for the indisposed Paul McNamara. Brenna has a huge, heroic voice, which is secure in the high registers and has a perfect ductus. Besides, he was one of the vocal and acting highlights of the evening. Daniel Brenna definitively has the potential to sing more heroic parts in future. 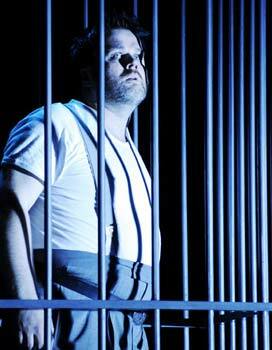 Daniel Brenna holds his own in this cast, impressively singing the impossibly demanding part of Siegfried. In love Laca, the rejected lover, angered, jealous, with a frightening propensity for violence, finds a way to conquer hate in order to become a gentle, comforting being. 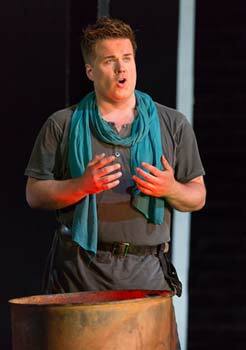 Laca is portrayed by Daniel Brenna, an overwhelming Wagner tenor, who plays the role with extraordinary power and total dedication. Shortly, he will portray this role once again at the MET. Daniel Brenna in the role of Laca, the unloved. Angered, authoritarian, pitiful in his jealousy, he suffers. He is jealous of Stewa, who is loved by all. Outstanding singer Daniel Brenna ‘s play is touching: impulsively, passionately and proudly, he gives a true, real interpretation of the role. Both in his rebellion, love and tenderness. So it’s hardly surprising that he will also portray this very role at the MET. Both male actors are fantastic:…and Daniel Brenna, ex-Siegfried in Laurent Joyeux’ s trilogy, is a marvelous Laca. His suffering is so huge, the Dijon auditorium seems to be too small for such an outburst. His diction is perfectly clear from the fist note til the end. The American tenor sings with a very “Czech” verve, always remaining melodiously. Though dubbed the “American” Ring there is nothing specifically American about this Siegfried except maybe the Siegfried — Wisconsin born Daniel Brenna, a veteran of the Washington D.C. Ring who has sung Siegfried in Budapest, Karlsruhe and Dijon as well….. ….Of youthful visage and fine young voice tenor Brenna well embodied Wagner’s ideal of pure and indeed powerful nature. This innocence served him well through his almost joyful murders of Fafner and Mime and prepared him for his monumentally guileless encounters with the god Wotan and Wotan's once immortal daughter Brünnhilde. Coming back to the vocal part, we must highlight the Herodes by Daniel Brenna, who undertook his histrionic role with audacity, nothing to do with those harsh voices, many already declining, that sometimes are casted for this character, as playing a vicious role should therefore imply as well an equivalent singing. That wasn't the case of Brenna, who knew to understand Strauss' score and translate it in an always clean singing, with power and excellent projection. 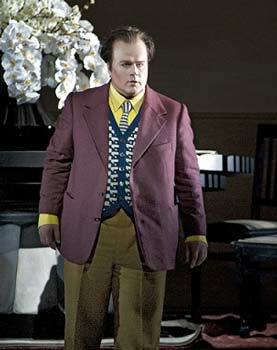 American heldentenor Daniel Brenna played Siegfried  a role he has sung in Washington, Vienna, Budapest and Denmark. 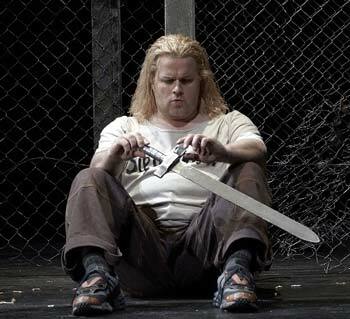 In 2013, he sang both Siegmund and Siegfried in a shortened Ring cycle for Opéra Dijon, and later this year sings Siegfried in Siegfried and Götterdämmerung for San Francisco Opera. Even in the concert setting for Hong Kong, his performance captured the characters gung-ho, impulsive, boyish truculence, then his naivety and growing confusion at Hagens betrayal, and he sang with clarity and lyricism, his top notes particularly stirring. 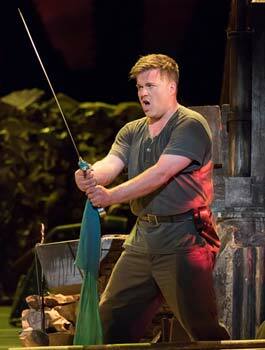 Also vocally Daniel Brenna was appealing as boisterous Siegfried. Daniel Brenna was an enchantingly naďve young Siegfried, bursting with enthusiasm. The fact that he is no Heldentenor, as some Wagnerians niggle, hardly touches me. Windgassen was reproached the same. And yet it is due to him my love to this opera arose, because he was a real Siegfried: naďve but also emotional, charming and beautifully singing  a child of the gods, which to me was crucial. Hans Beirer was a Heldentenor but no Siegfried because vocal power only just isnt enough. 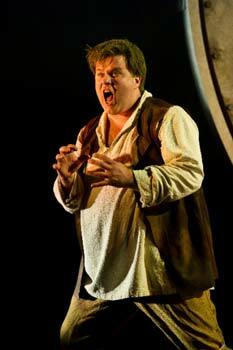 Stephen Gould is a Heldentenor with a fantastic voice and a convincing Siegfried. Daniel Brenna however, with his smaller yet enjoyable voice manages to sing the part and brilliantly play the role : a handsome, lean, agile boy, disgusted by his foster fathers obtrusiveness. Enchantingly, the way he mucks around with his mentor. Yet, he is also visibly touched by his parents destiny and in a moving way he befriends the female forest bird, who accompanies him to the selige Öde, where Brünnhilde is waiting for him. Even in the smallest gestures or mimic reactions we can see the portrayal of a truly lonely young man, whom the sympathy of the audience is for sure - as it was Wagners intention. There can be no doubt the native American ( with an extraordinary biography  see interview!) truly understood every word he sang. Daniel Brenna as Siegfried was also beyond compare. Seldom has one heard the barbarously difficult Schmiedelieder sung in such an exuberant and sovereign way. Brenna however sang them with an almost tantalizing nonchalance and still had the power for the final scene "Heil dir, Sonne! Heil dir, Licht".
. one can truly call Brenna a discovery; it would be interesting to see (and hear) them in a big opera house. Elegantly and effortlessly he jumps into a rocky landscape made out of plastic, conceived as a burlesque to meet the waiting Brünnhilde. Da encomio per espressivitŕ, intonazione e potenza č stata la prestazione di Daniel Brenna, un Siegfried da antologia che anche in Siegmund ha saputo porgere una linea di canto legato, ma con incisivitŕ di accento, virtů che sanno coesistere solo in tenori di primissimo ordine." "One sits up and listens attentively, when Obrist (Daniel Brenna) reaches Puccini-like and almost kitschy cantilenas..."
"Also a godsend is her opponent Daniel Brenna as Aloys ­Obrist: his erratically controlled, loud and lachrymose play is so superb, that right from the first tone, one believes he is capable of murder out of jealousy." 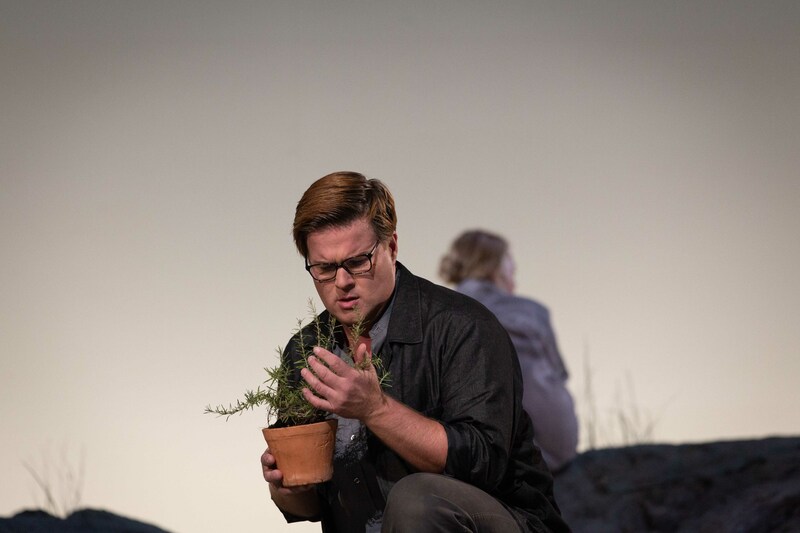 "Daniel Brenna as Aloys Obrist inspires by the vocal directness and the amazing stringency, with which he plays Anna's love-crazed admirer.."
"To have a tenor of the quality of Daniel Brenna in the small role of Aegisth was a bonus." "In the role of Laca, Jenufa’s ever patient suitor, Daniel Brenna made good use of his profound tenor. He spent the evening channeling John Vicars, which was thrilling. "Daniel Brenna (a Laca with a walloping tenor)"
"Daniel Brenna as Laca ist simply impressive,if not exuisite." "Daniel Brenna had punchy power as his hapless half brother Laca"
Daniel Brenna....sang with a youthful rambunctiousness and acted with commitment to the production. With great success Daniel Brenna sung Siegfried at the third evening . 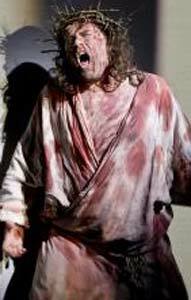 It's a pity his Tannhäuser performances in Prague were cencelled (because of illness). He is very young-looking , has an excellent voice quality and a natural sense of acting. The undoubted star of this production, however, was tenor Daniel Brenna who sang the role of this opera’s eponymous hero. 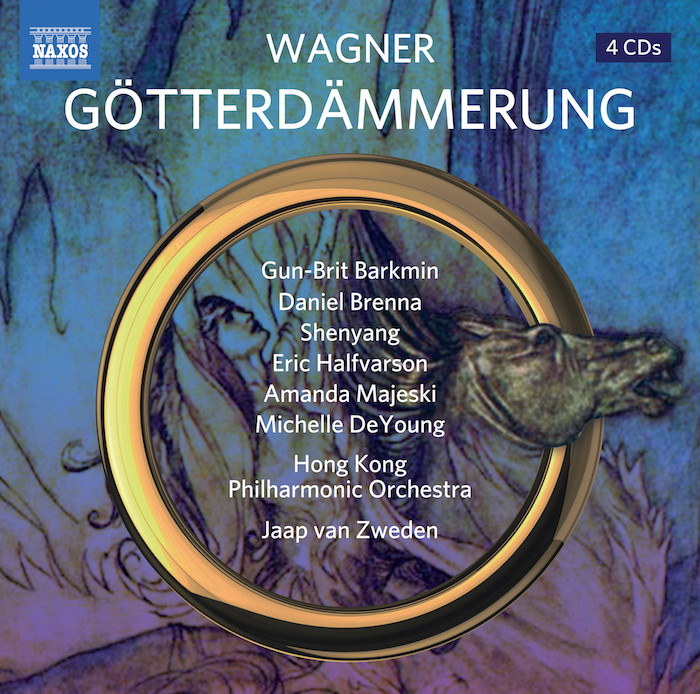 Wagnerian singers generally traverse a long and difficult road to develop the kind of voices that can still retain some lyrical quality even as they must develop extraordinary volume and accuracy in order to soar above this composer’s massive symphonic accompaniments. Not infrequently, such voices don’t achieve that peak power until Wagnerian singers are in their 50s, which makes their portrayal of much-younger characters seem a bit odd in today’s musical theater scene where acting as well as physical appearance and believability hold great importance. Mr. Brenna is a notable exception to this rule. Though now in his early-to-mid-40s, he possesses great physical vigor; and even better, still possesses the look and the attitude of a cocky late teen or early 20-something, which is absolutely perfect for the role of Siegfried. His brash, almost clueless hero’s swagger, his lack of tolerance for the boredom of normal life and his sudden gob-smacking by the awesome power of an intense first love are all made entirely believable by this still-youthful tenor. None of this would be enough, though, if Mr. Brenna didn’t also possess the enduring vocal power and finesse needed to sing Siegfried effectively and well. But he does.In the opening scenes, we weren’t entirely sure. Siegfried’s vocal lines are short and clipped in the early part of Act I, so we weren’t quite able to ascertain how Mr. Brenna would develop his character later as Siegfried’s vocal lines and emotions lengthened and grew.But, like many an athlete, it’s clear that Mr. Brenna was gathering his vocal forces so that his instrument would peak when it needed to peak, in that grand finale, during his extended dueling duet with Brünnhilde. It was the right answer, leading to a brilliant and fulfilling conclusion to this third installment of what is fast becoming one of the truly defining moments in the history of the Washington National Opera. 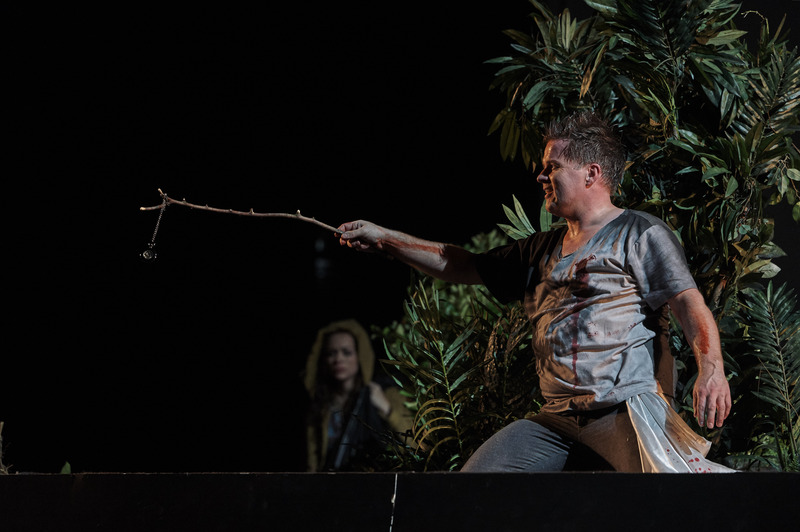 There are a lot of ways to parse a “Siegfried,” and Francesca Zambello’s production, with Philippe Auguin’s conducting, continues to offer D.C. audien¬ces a particularly rich ride. But one bottom line remains the two leads, and both Foster and Daniel Brenna, the Siegfried, were largely unknown quantities until Wednesday night (although Brenna sang the part of Alwa in the Metropolitan Opera’s “Lulu” last fall). Both proved more than respectable: Brenna, in particular, showed a savvy use of his voice, resisting oversinging in the first act, when he sounded pushed and bland, so that he was doing his best work in the third, unleashing a robust sound that made it clear that this singer is definitely someone to watch. 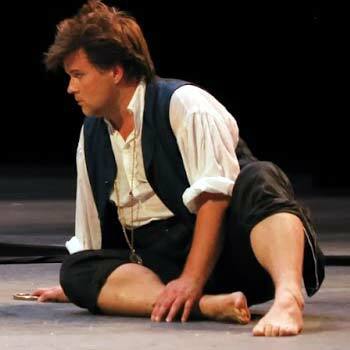 The scenes presented in Act One, showed the young Siegfried (Daniel Brenna) brooding about his place in the world and questioning his parental upbringing. Mr. Brenna’s lustrous tenor voice vividly matched his character’s myriad moods as he very aptly conveyed his character’s youth, idealism, defiance, and callowness. It was a pleasant casting decision to watch a Siegfried who truly had a boyish, raffish, and endearing air of defiant nonchalance about him (rather than much older singers that have played this part). Brenna’s interpretation of the character was invigorating and refreshing throughout. When our hero Siegfried returns, singer Brenna has his voice anchored securely and from here on demonstrates why the Wagner Society and others who have showered prizes upon him have staked their hopes in the “best young Siegfried out there.” Brenna has the Wagnerian vocal chops for sure and is developing the release of his instrument and the dramatic passion to drive even this toughest of roles. He may be a young “freak of nature” now but he is tipping into being darn near sensational. Daniel Brenna, a young Washington National Opera first-timer, with a rich, brassy tenor is terrific as Siegfried, playing him less as a hero and more a bratty kid. 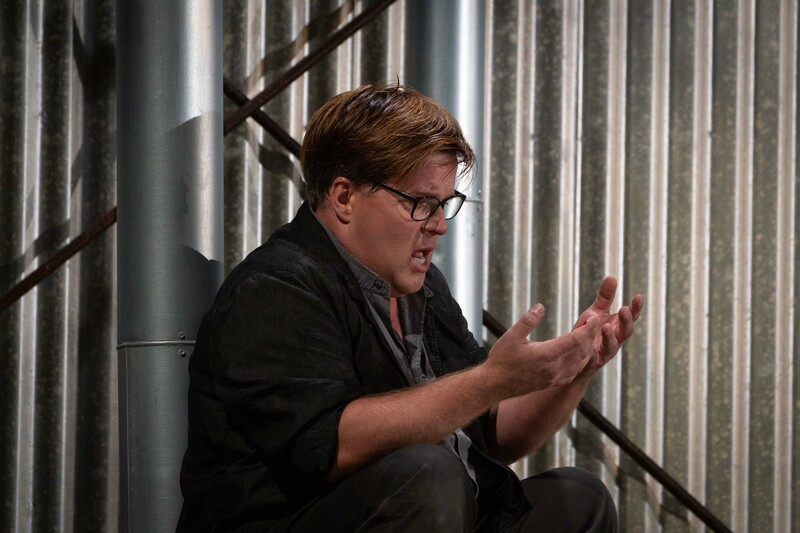 Brash American tenor Daniel Brenna pulled out all the stops as the Ring’s swaggering and occasionally oafish hero, Siegfried, portraying him as an almost recklessly brave fellow to whom heroics are second nature. But, unschooled in subtlety, he can’t ferret out the duplicity of his apparently genial hosts in this final Ring opera, leading to the inadvertent disgrace of his beloved Brünnhilde and ultimately to his own destruction. Mr. Brenna sang like a swashbuckling hero early on in the opera as he made the acquaintance of the scheming Hagen (Eric Halfvarson), his half-brother Gunther (Ryan McKinny), and Gunther’s lovelorn sister Gutrune (Melissa Citro). 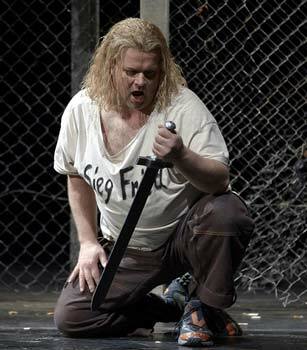 But later, as he slowly succumbs to Hagen’s treacherous attack, the truth of it all dawns on his character, Siegfried. 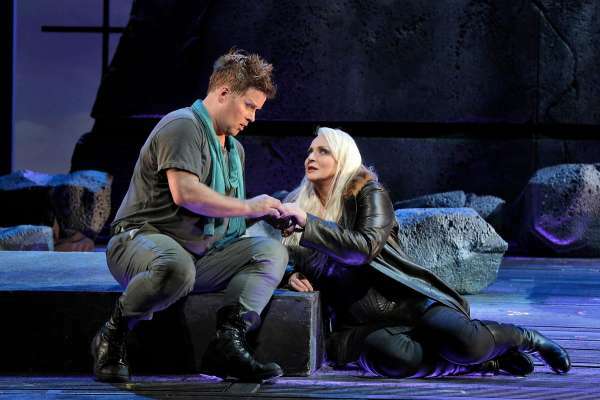 The versatile Mr. Brenna responded to the moment with a completely different vocal approach, singing with great tenderness and love as Siegfried remembers, in his dying moments, his magical time with Brünnhilde. Daniel Brenna meanwhile, is every inch a Siegfried-the bold, heroic but terminally dumb hero of the cycle. 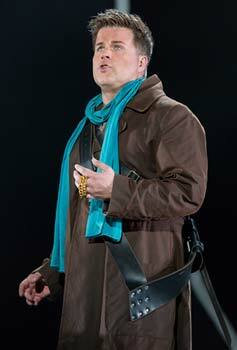 Daniel Brenna continued his eminently likeable Siegfried - still the boy-man, wearing his mother's sky-blue scarf. From his moving love-scene with Brünnhilde where each outdid each other in protestations of love, to his rustic faux-pas in the sleek Gibichung domain, from the guileless expansiveness of his male camaraderie, to his heartbreaking end, his last gesture an attempt to reach the hand of his 'blood-brother', Brenna captured the character's central magnetism, that is to say the magnetism of his innocence. While others in it for something - some for the Ring itself, some for a bit of status, dreaming of real glory among their leopard-print cushions - only Siegfried is in it, as it were, for the jolly, becaus he happens to be alive. Only he has always been free of the desire for power or wisdom; theonly thing he wanted was to learn fear, and he never quite managed that. Daniel Brenna as Desportes is a cynic, a false villain, who doesn't posses the charme of a womanizer, only his despicable dissipation, increased by the rudeness of his behaviour and his morals. The extremely difficult part is brilliantly sung, the high notes sustained by an important and constantly controlled falsetto. Especially in the dramatic 2nd part Daniel Brenna definitively improved . He credibly, almost pitiously, conveyed the awkwardness of Dr. Schön's son. 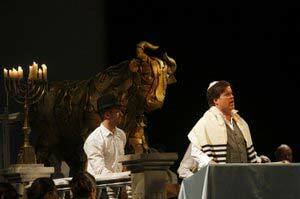 With his strong tenor voice Daniel Brenna made his successful debut as Alwa. Daniel Brenna has a gorgeous voice and he brought a wonderful vocal bloom to the lyrical duets with Petersen in Act 2. His son Alwa - also one of Lulu's victims - was sung with the necessary helden-tenoral power and a slight baritonal timbre by Daniel Brenna. He also perfectly mastered the lyrical passages of his role, above all the "hymn" on Lulu's body in the second act , which he sang with legato and sustained tones. 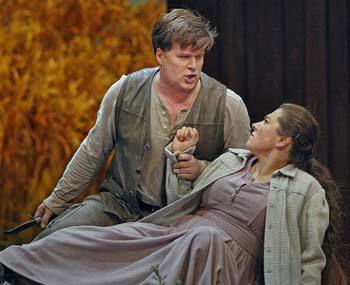 Alwa, sung by the American tenor Daniel Brenna in his Met debut is compelling as the pathetic composer, who becomes dependent on her, though he knows she is out of his reach (With his big voice, it's not surprising to read that Brenna will be singing the leading role in SIEGFRIED shortly). "Daniel Brenna has the same asset, which enables him to effortlessly change from the high registers into falsetto with an imoressive speed." "Tenor Daniel Brenna depicted Desportes appropriately as a mean villain"
"Daniel Brenna packed a punch with a steely tenor perfect for the unforgiving Desportes"
‚Even Desportes, a role that is mostly just screamed by some used tenors, was perfectly sung by the tenor Daniel Brenna’. "As Baron Desportes, American tenor Daniel Brenna managed to sail into the extremities without making a musical travesty of the role." "The extremely high noted vocal part in toto perfectly suits tenor Daniel Brenna's (Desportes) voice"
Daniel Brenna [excellent in Salzburg in the same role], ...Daniel Brenna, where have you been 'hiding'?! A superbly talented opera singer/actor! "...little by little she falls under barone Desportes' (Daniel Brenna) gleaming high peaks ..."
"Daniel Brenna, who effortlessly meets the teoral demands of Desportes' part"
"Daniel Brenna in the role of baron Desportes convincingly sings and plays this brutal psychopath"
"Daniel Brenna portrays the „nobleman“ with a diabolically seductive falsetto over a metallic tenoral core." "Excellent: Marie's men ... Daniel Brenna's Desportes inspired by the Tambourmajor"
"Once again Daniel Brenna gave an impressive portrayal and his German has equally improved since his Salzburg performance." "...and Daniel Brenna (Desportes) cope much better with Zimmermann's extreme vocal demands as his prodecessors in previous performances." "Her Marie is a musical- artifcial sensation. This also applies for Daniel Brenna as Desportes - he too succeeds in turning the ludicrously exposed shifting between the registers into a fascinating expression of an emotional perversion." "Daniel Brenna's Jim Mahoney sometimes comes close to a Wagner hero, sonorously intoning many a phrasing with great dynamic. This fits quite well with the somewhat naive boy from Alaska, who doesn't quite know what's happening to him in the sophisticated city of Mahagonny"
"Where the cast was concerned, there was not a weakness. Truly exciting was the Siegfried of the American tenor Daniel Brenna. 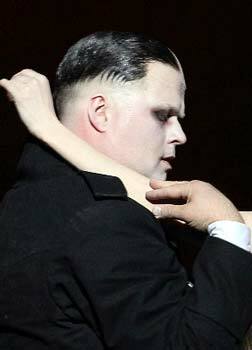 A stocky figure, he perfectly characterized the callow youth who bullies Mime (the excellent Colin Judson), sang with such tenderness of the mother he has never known, and was ardent in the final duet. I could not believe that he would maintain the volume and intensity of his tone in Act 1 right through to the end of Act 3, but he did (and it is not often that he would be expected to sing the role four times in eight days). Would he sound as impressive in a larger theater? Yes, I believe he would. In engaging him Longborough has made a thrilling find ... ."
„Vocally, too, this is a remarkable evening. 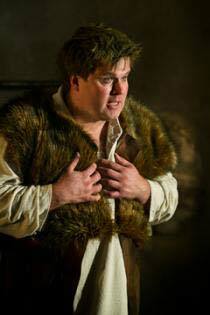 The young American tenor Daniel Brenna looks and acts the callow hero impressively and his tone remains convincing to the close." "For 'Ringheads', as Wagner fanatics have come to be known, Mr. Brenna was the long awaited youthful-looking, athletic, stroppy, rebellious tormented angry young man who failed to learn the meaning of fear." Wagner's “Siegfried” at the San Francisco Opera. 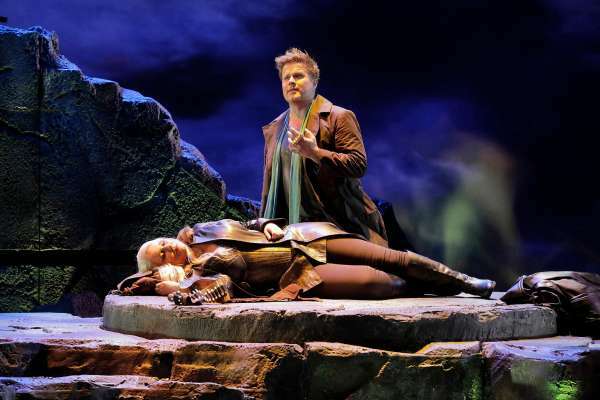 DANIEL BRENNA and Iréne Theorin as Brünnhilde in Wagner’s “Siegfried” at the San Francisco Opera.